After another gym session today filled with amateurs, I feel the need to rant. I’ve been playing a bit of “gym limbo” in the last couple of months due to my living situation. Up until I moved on August 5th, I had a 24 Hour Fitness membership. I had one of the nice Super Sport locations down the street from my apartment, as well as an Active location just five minutes from work. I paid $45 a month. Then, I moved to a new location in San Diego and promptly cancelled the membership because there wasn’t a good location nearby. They were kind enough to allow me to still work out until September 5th, which was about the time I was in the air with my living situation, so I held off on obtaining a new gym membership. Then I moved to Santa Monica, and was greeted by absurd pricing for all gyms within walking distance to my apartment and/or work. With a corporate discount, the only other full-on gyms (i.e. not Crossfit “gyms” or Pilates studios) were either $80 a month or $150 a month, respectively. I’m not willing to shell out that kind of cash just so I can lift some weights. I have no interest in group exercise classes, steam rooms, or any of the other crap the high end gyms throw at you; and provided workout towels aren’t worth that kind of a premium price. So instead of going with the premium options, I reactivated at the local 24 Hour Fitness Express for a much more reasonable $30 a month. And I should have expected this at the price point I’m paying, but it’s beyond what I imagined. 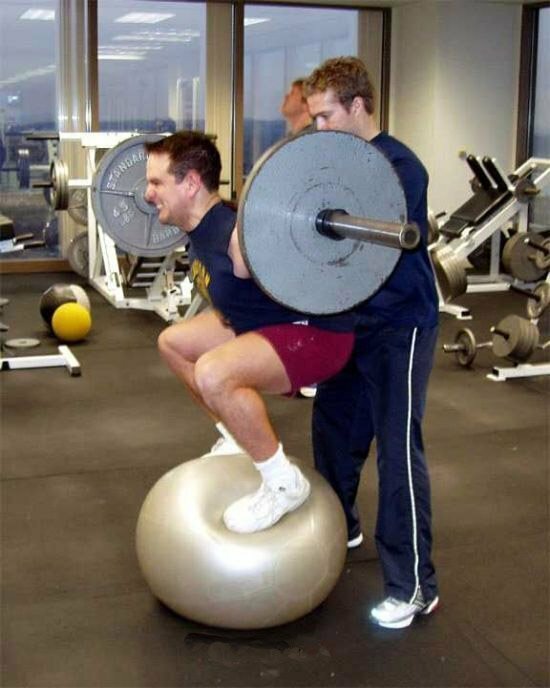 This gym is absolute amateur hour. A man with the typical American manboob physique (skinny everywhere except for his beer belly, wearing a tight wife beater) who spent far more time reorganizing the dumbbells than he did actually working out. Another manboob attempting to shoulder shrug 75 pounds of weight, except he would throw his back and his calves into it to perform the exercise. It looked like a weird combination of a calf raise, deadlift, and shoulder shrug. On top of that, he dropped one of the 75 pound dumbbells, missing my foot by about six inches. Who the hell drops the weight on a shoulder shrug?! A woman who weighed probably 250 pounds riding the bike and yapping on the phone the entire time. Wonder why she’s fat. Manboob bench pressing 45 pounds – meaning just the bar itself. Now, it’s one thing if there’s plenty of equipment. Everyone has to build a foundation at some point. But when there’s only one bench press rack in the entire gym, you better be putting some weight on and not holding up the rest of the line. If there were five bench presses and they were all open, I’d have no issues with it. Multiple fat personal trainers giving advice which might be my biggest pet peeve in the entire world. Those monthly premiums are looking better and better every day. From now on, I’ll be steering clear of 24 Hour Fitness.